Docker and micro services are the new buzzwords of the day. And while it’s nice for those Linux guys, us Windows guys don’t really have to deal with it. Or do we? Can we? This month, we’ll take a look at what Docker is, what the advantages are, and how we can convert a simple Windows application into a Docker application. We’ll meet at Excella at 2000 Kraft Drive, Blacksburg, VA 24060, on March 23rd, at 6PM. If the door is locked, please call 540-808-2780 for access. Excella Consulting (yes, our gracious hosts!) are organizing the inaugural Open Source Dev Conf at Virginia Tech coming April 1st. 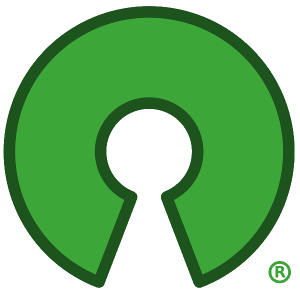 Five experts will share their experiences in working in and with open source software. For more details, check out the Eventbrite page for this event. Imagine if you could control and monitor thousands of devices with your iPhone or Android phone. What would you be able to do? What *wouldn’t* you be able to do? Xamarin – a C#-based cross platform development that will let us re-use most of our code to create a mobile app for Android, iPhone and Windows phones. Azure IOT Suite – a low barrier to entry, massively scalable hub that lets us monitor and control thousands of devices in real time through the cloud. Arduino – an open source microcontroller hardware and software package that makes it easy to create and program your own electronic devices. Code your app so that it can monitor and control your devices through the Azure IoT hub. If the door is locked, please call 404-702-9929 for access. Thanks to TEKSystems for sponsoring this event! Our meeting will be sponsored by Apex Systems. Thank you! .NET developers… a very exclusive club of people. How do you become a member of that elite team of developers? Ron Bruintjes will try and show you in 120 minutes (or less!) what’s needed to start developing awesome applications with .NET. We’ll be meeting on Thursday, July 28th, at Excella Consulting, 2000 Kraft Dr, Blacksburg, VA 24060, meeting starting at 6PM. If the doors are closed, please call (540) 808 – 2780. June is a joint meeting with the NRV SQLPASS group. The meeting will be held Thursday June 23rd, at Rackspace – 1691 Innovation Drive, Blacksburg, VA 24060. Hope to see you all there! This Thursday we’ll have our “monthly” meeting of the NRV .NET User group. It will be a combined meeting with NRV SQLPASS, and the subject will be “An Introduction to SQL Server 2016”. SQL Server 2016 is about to be released. We’ll take a look at some of the new features available in the product with release candidate 3. This is an informal meeting and pizza is provided. We’re planning on holding it from 6PM until 7PM. Presented by John Baute of NRV PASS. Sorry to do this again, but personal circumstances prevent me from being there by 6PM Thursday, and John is out of town… We’ll have a joint meeting with the SQL UG in February if I’m not mistaken. This month’s meeting will be held December 10th, at Rackspace in Blacksburg. The subject will be “Becoming a .NET developer in 60 minutes or less”. Please register through our Eventbrite link, so that we can estimate how many people will be showing up. You will find details like address, start time and subject information there as well. Unfortunately, I need to cancel December’s meeting. We’ll move this subject to January 28th. Everyone have a Merry Christmas and Happy New Year!